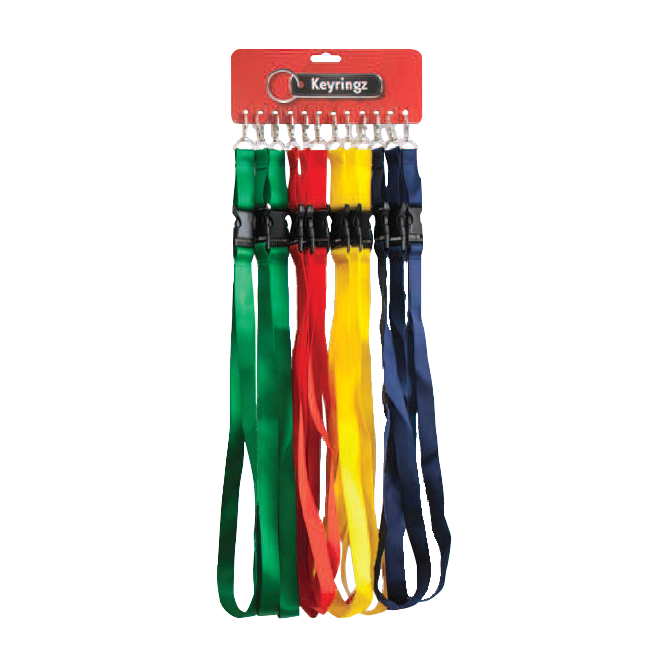 A collection of coloured lanyards featuring a metal spring clip front attachment and a intermediate short release clip to easily remove keys. 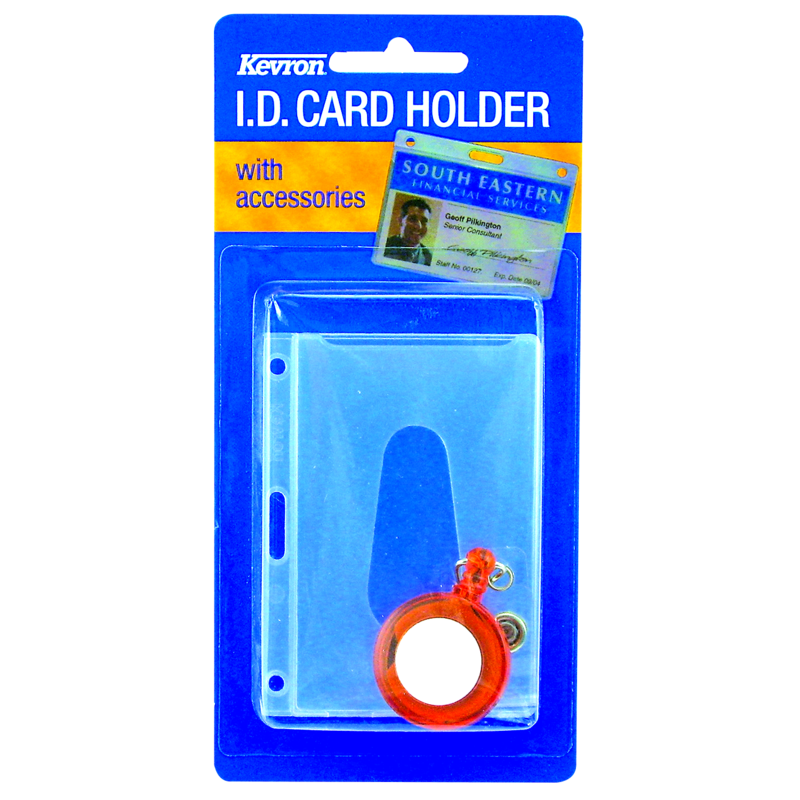 The Kevron clear card holder provides safe and visible storage for many forms of access, PID, security or membership cards. This product is a bag containing 25 card holders. 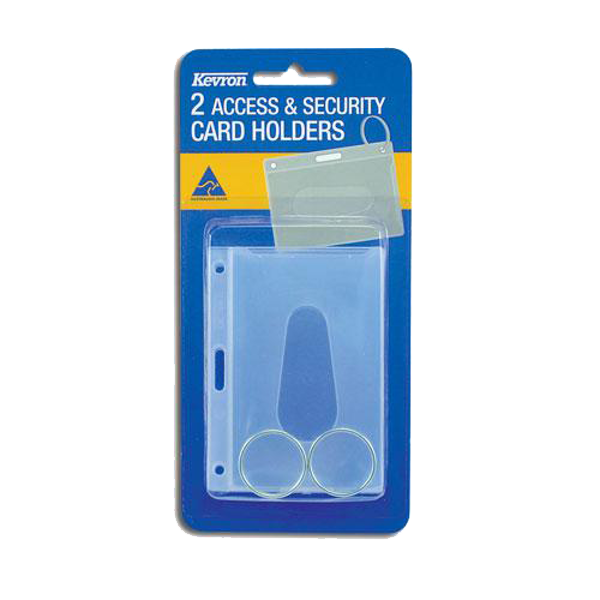 The Kevron clear card holder provides safe and visible storage for many forms of access, PID, security or membership cards. This pack is supplied with clips making it ideal to fasten to shirt, blouse, jacket or trouser pockets. 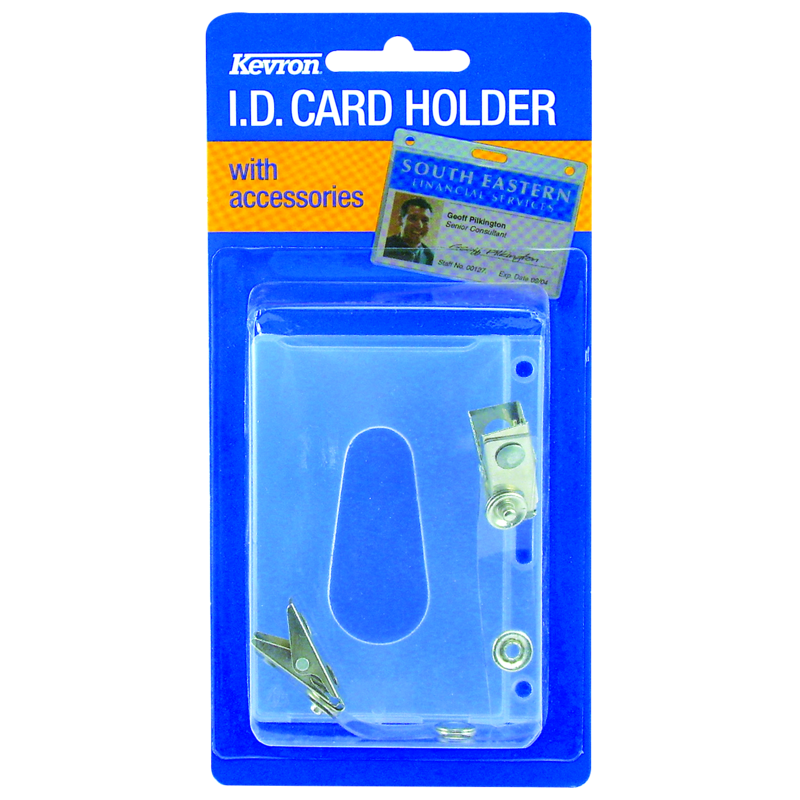 The Kevron clear card holder provides safe and visible storage for many forms of access, PID, security or membership cards. 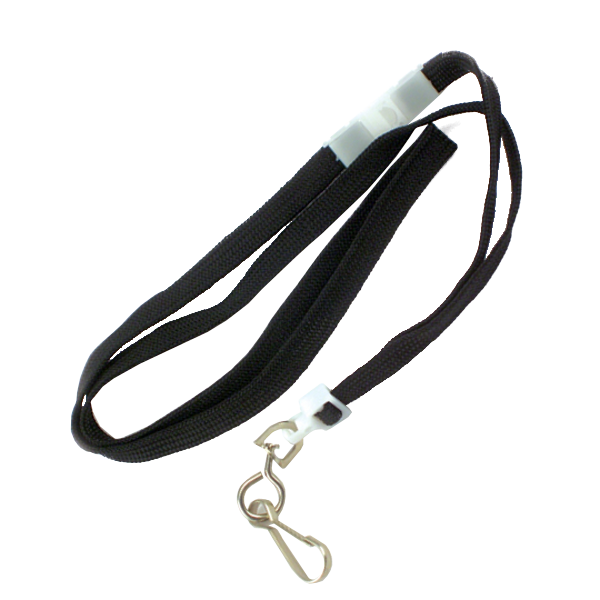 This pack is supplied with a lanyard to allow it to be worn around the neck, the lanyard is fitted with a breakaway section to ensure that the wearer is not harmed if the lanyard becomes snagged. 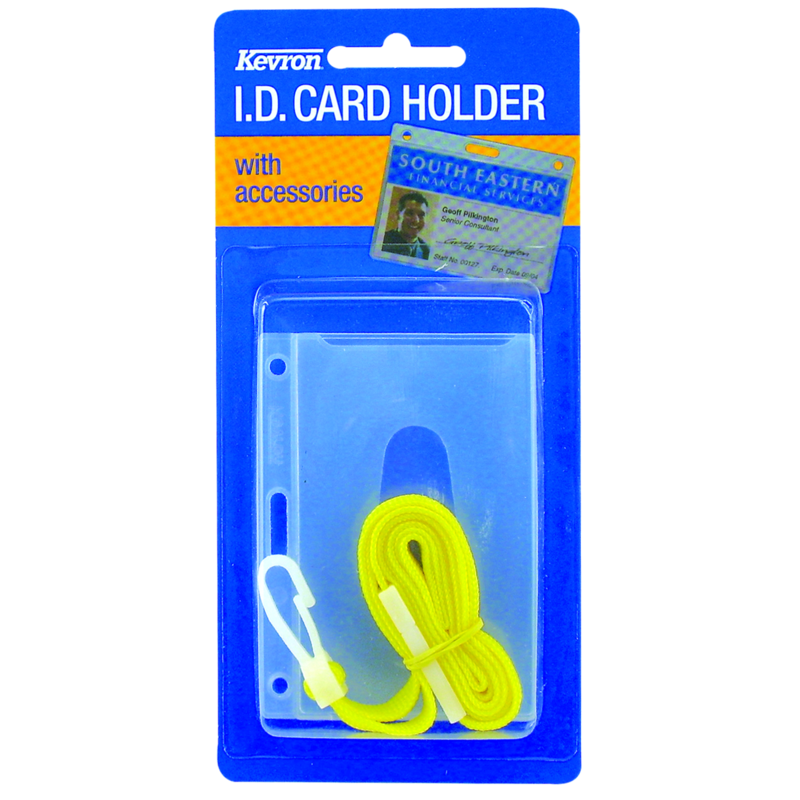 The Kevron clear card holder provides safe and visible storage for many forms of access, PID, security or membership cards. This pack is supplied with a belt mounted reel which retracts when released, making it a very convenient way to store and use your card. 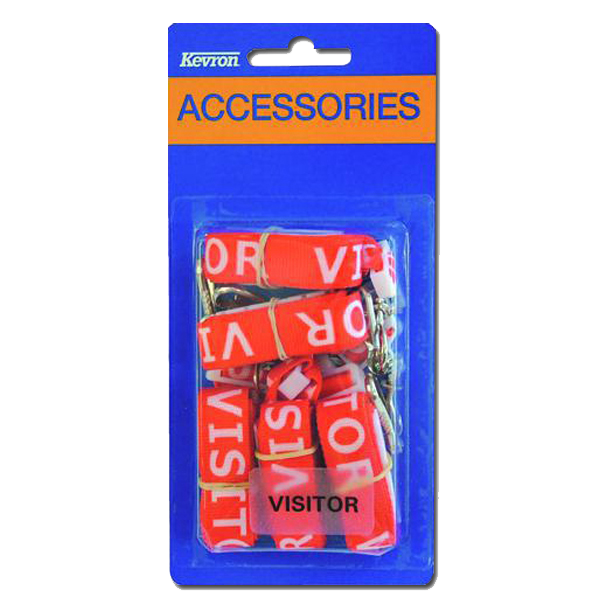 The Kevron Breakaway Lanyard is usually used to wear identification cards, security passes and fobs around the neck. With its special breakaway cord, the wearer is protected from getting tangled up or choked as the breakaway clip will release when too much pressure is applied. The Kevron clear card holder provides safe and visible storage for many forms of access, PID, security or membership cards. 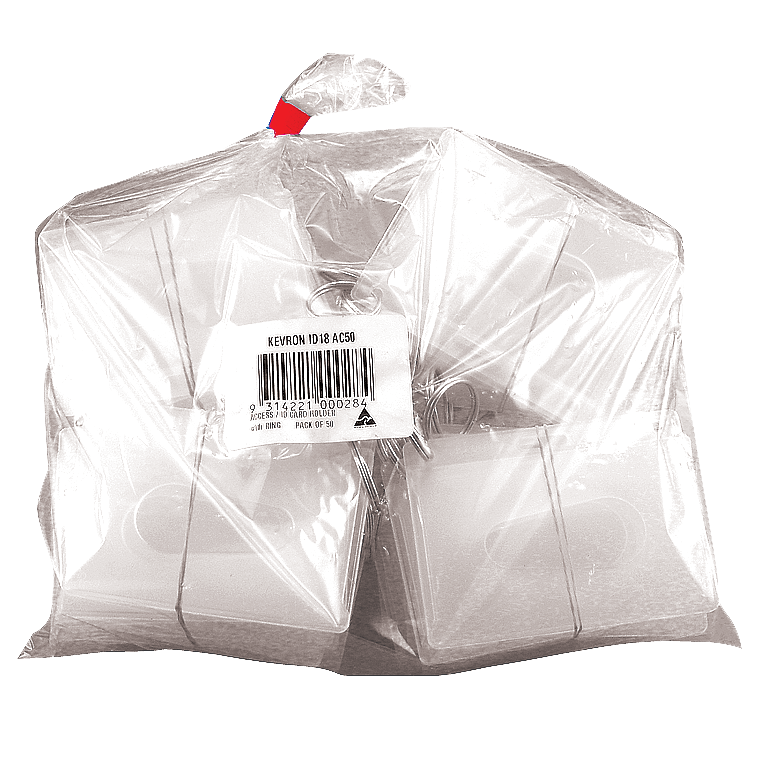 This product is a bag containing 50 card holders with split rings. 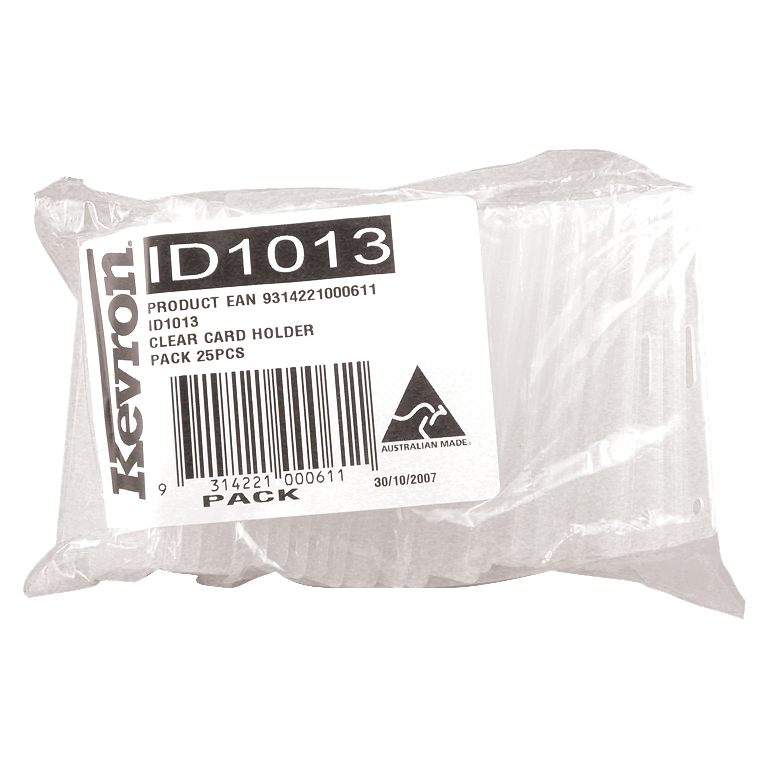 The Kevron clear card holder provides save and visible storage for many forms of access, PID, security or membership cards.